Great Location! 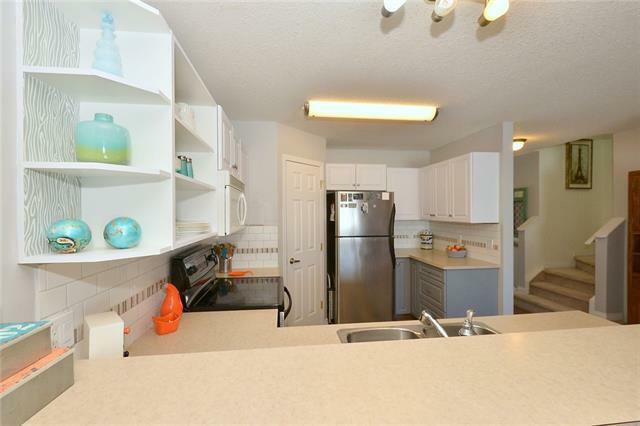 Within walking distance to Fish Creek Park, public transit and the community shops and services of Chaparral. 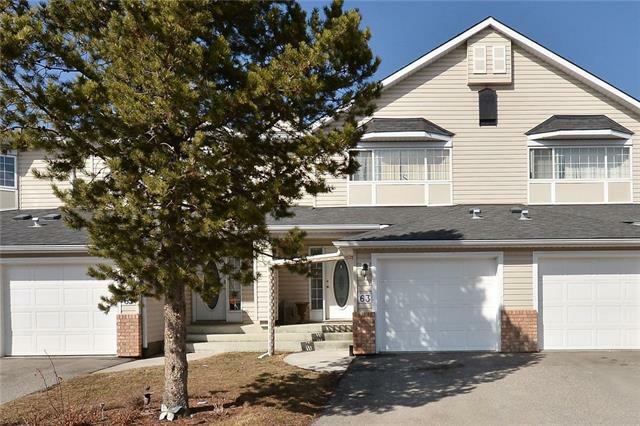 Or just minutes to golf courses and the shopping in Shawnessy. 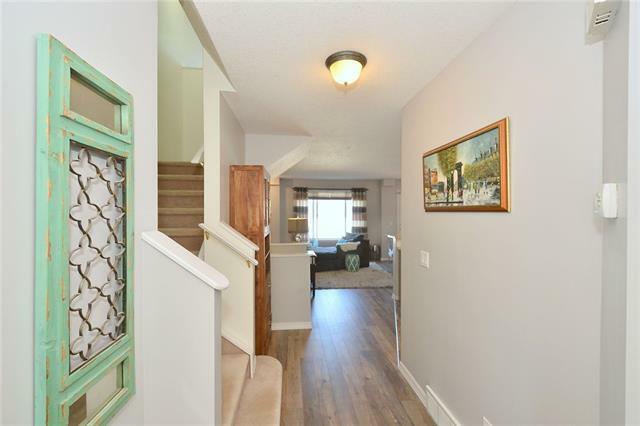 This spacious two bedroom plus den townhome has been upgraded with beautiful laminate flooring, kitchen tile back splash, paint, lighting and both baths have been updated as well. 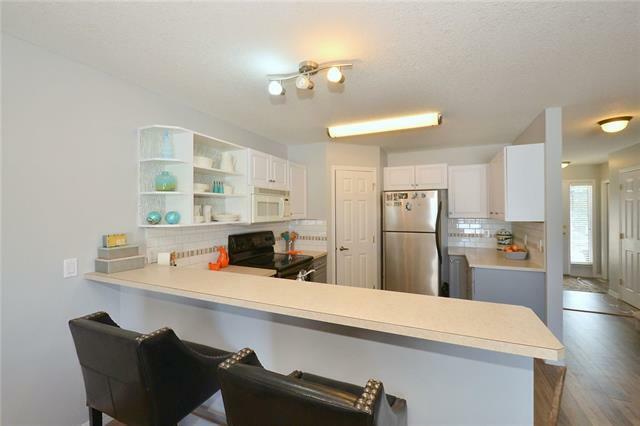 The kitchen has a handy breakfast bar for casual dining, a good amount of counter top space, cabinets and corner pantry. The living room features a large picture window and lovely gas burning fireplace. Generous size eating area with a garden door that open onto the back patio which is great for those summer BBQs and no other units behind. The upper level has a bright and cheery den and two generous size bedrooms, with the master having a walk-in closet and cheater door to the 4 pce bath. The lower level is developed with a large recreation room, laundry, storage and utilities room. Also included in central air conditioning.